The Codelocks CL510 Stainless Steel Mortice Latch is supplied with a heavy duty tubular Mortice latch. 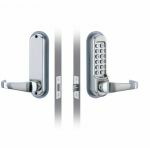 When the right code is in-putted, the external level handles will retract the latch and when the door is closed, the spring loaded latch bolt automatically locks. The CL510 locks are programmed with a random code beginning with the C clear button. To alter the code after installation, the lock initially must removed from the fitted door. The code is non sequential, which means the code can be in-putted in any order e.g. 1234 can be 4321 or 1342 or whatever is the easiest sequence. With the 13 buttons a grand total of 8,191 various codes are available, all of which can be in-putted in any order. 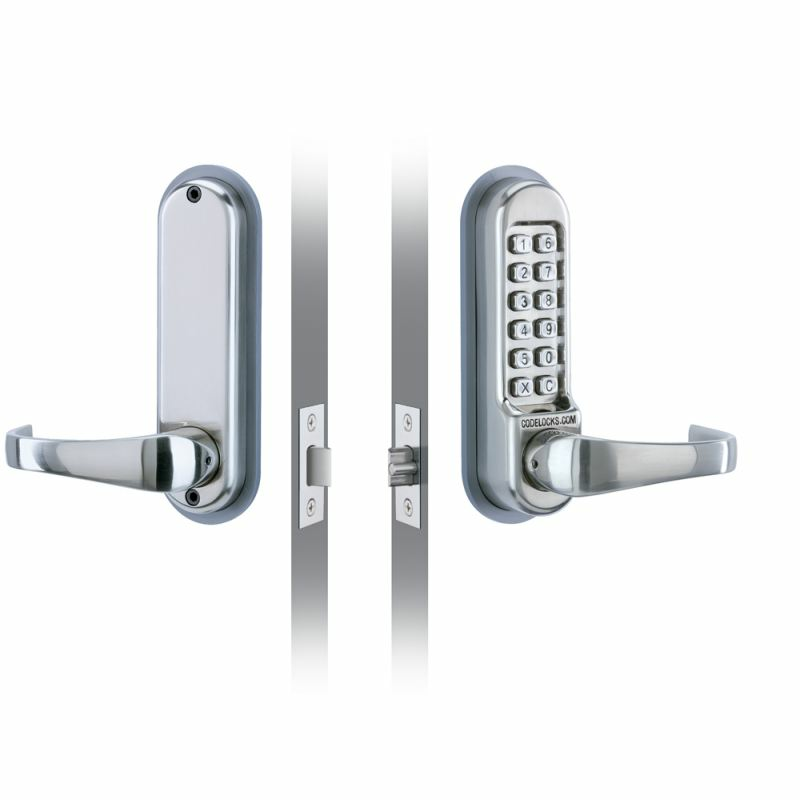 The Codelocks CL510 Stainless Steel Mortice Latch is ideal for high traffic areas of the building and it's unique in a way that you don't need any programming computers or batteries unlike other heavy duty mechanical locks that requires batteries changing. Should last a little longer than 3 months.